I Thought I Lost My Blogarhythm Until You Came Around. I have been an angsty hermit. So every time I would sit down to post, my mind would wander, get distracted and navigate far, far away…and I would jump from one website to the next and read random things and look at random pictures. Basically I have been twiddling my thumbs and doing nothing, like Hugh Grant in About A Boy. And my dad didn’t even write a platinum Christmas carol. I would make yummy stuff, eat half then not photograph it. I would bake stuff and give it to the neighbours. I would write half-hearted posts and delete them. I was beginning to lose my Blogarhythm. For anyone who blogs, (for profit or otherwise,) you feel nice and settled when you develop a rhythm, and you know have a fair idea of what to post next. I was wondering if my Blogarhythm was actually slipping away, until three bloggger friends came by and gave me much joy and a much-needed kickstart. 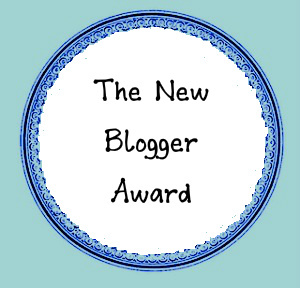 BLOG AWARDS!! 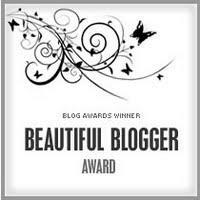 A big bloggy hug and heartfelt thank you to Heather of Sugar Dish Me, as well as Madhu of the Urge To Wander and Preena of A Teaspoon Of Turmeric for appreciating my work and passing on the love 😀 They have collectively graced me with a New Blogger, Beautiful Blog, Kreative Blog, Liebster Blog and 7X7 blog award. That’s phancier than the phanciest thing I could have imagined for this little blog! I feel so loved…and it’s only with the love and support of fellow bloggers and readers that we flourish creatively! These are from Heather, and the credit for this New Blogger image goes to her, too. She created it for the blogosphere, and I think it’s adorable!! Thank you, Heather, Madhu and Preena. I can’t tell you how much this means to me!! And everyone else, you must visit their blogs and discover the wonderful things these beautiful women have to share! Congratulations!! I completely relate to that rhythm being amiss. I have experienced it so many times. But reading up general stuff can give you ideas and sometimes I have an idea and then I do a recipe around it to fit the theme. I want devnagri script tooooo!! 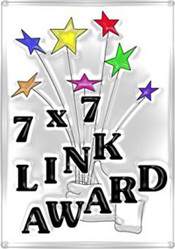 Would you be interested in a versatile blog award just to complete the picture? Tis the season for blog love 🙂 Congratulations! You deserve every one of them! Thank you Madhu. Everyone has been so generous! FYI: I really dig your blog. So much of what I follow and read are all about food/recipe/ingredient posts (cause that’s my thing, you know?). I love the recipes you post, but look most forward to your deviations from the norm. Foodless Fridays are super. Wow! That made me feel so special Heather…warm fuzzies right back at you! I’m glad you like the deviation from the norm. I love food- but I also love other stuff. And it’s nice to share what we love!